If you need to destroy confidential documents or materials, then it is of the utmost importance that you seek a secure document shredding company. 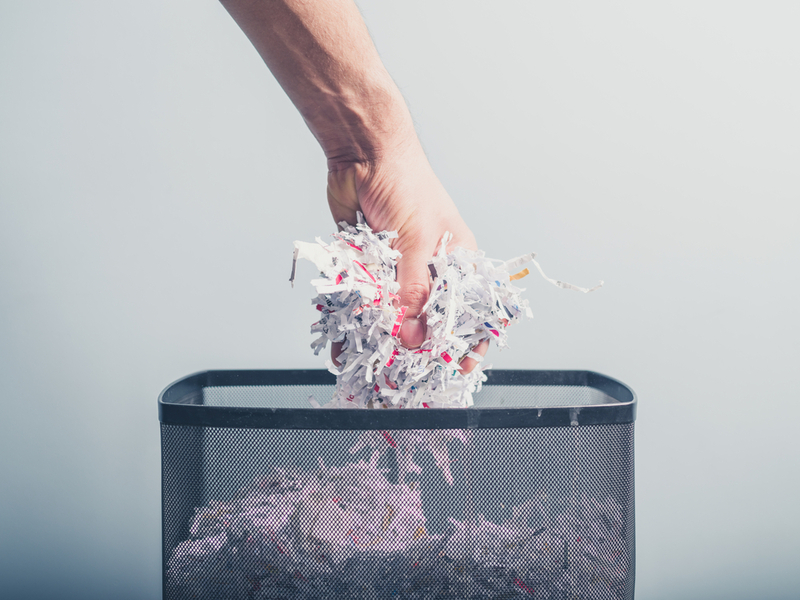 There are many people which may simply think an office shredder is substantial enough for the disposal of such materials, however, this is something which could seriously come back to haunt you. Opting for a company that can provide a secure service for you is the only answer when it comes to dealing with confidential materials, and this blog post will reveal exactly why that is the case. First and foremost, a lot of people do not realize it but secure shredding is something which has actually been imposed as a law, and so you need to adhere to the legal requirements which have been set. This law is imposed under the Data Protection Act 1998 and it says that every business must keep all of the information which comes into their hands safe at all times. ‘All times’ refers to absolutely everything, and so encompasses even when the documents are disposed of. Moreover, ‘all of the information’ again refers to absolutely anything that can be utilized in order to identify an individual. A lot of the times, this can be something which people do not even realize can be used for identification purposes. Therefore, it is best to simply seek a document shredding company for all times, after all; it is better to be safe rather than sorry. Such companies can also set up the likes of MES Hybrid document systems, so you can manage your documents more efficiently and securely overall. As this is a law, you can expect that there are repercussions for anyone who does not abide by the rules, and in this instance, the repercussion is in the form of a fine; an amount which totals up to $500,000 for any company. Nevertheless, while the fine may be a substantial amount of money, it’s not the only thing you will have to worry about if you have indirectly released information and caused someone to become the victim of identity theft. This is something that will severely damage your business’ reputation. It is big instances like this that are extremely difficult to come back from because your business will be forever tarnished by this lack of professionalism. People will no longer trust you and so they will not want to be associated with your company, nor will they risk putting their information in the hands of your business because they will worry that you accidentally leak their confidential details. Moreover, identity theft is a problem which is very much rife at the moment. Those guilty of this crime are just waiting for the perfect opportunity to pounce, and if you present them with this possibility then you can rest assured that they are going to take it. Therefore, you leave your customers, your employees and anyone else who is associated with your business at severe risk of being in serious trouble. This article has already touched upon the damning effects this will have on your company, nevertheless on a human level thinking about the effects it could have on others is something which should make you want to seek secure document shredding. All in all, the importance of secure document shredding is something which cannot be underestimated; it can prevent your company from exposing individuals to identity theft, thus saving you from substantial fines and the risk of a detrimental reputation.